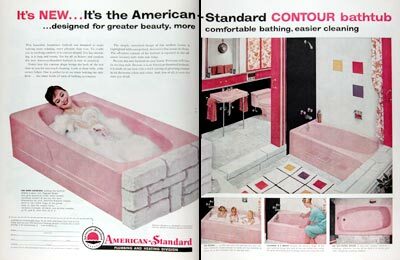 1959 American Standard Contour Bathtub original vintage advertisement. It's new... designed for greater beauty, more comfortable bathing, easier cleaning. For more luxurious bathing, this bathtub follows a smart new diagonal design.